If you were an alternative kid in the 1990s, then you know Teenage Fanclub is one of the catchiest, most heartfelt, best kept secrets in rock. While they’re not a household name in the Unites States, their fuzzy power pop inspired Kurt Cobain to famously call them the “best band in the world” and brought them on Nirvana’s European tour as did Radiohead during their finest artistic moment, their tour for OK Computer. For Chrissake, Ben Gibbard from Death Cab For Cutie was so inspired by them, he released his own cover versions of their entire 1991 breakthrough record, Bandwagonesque. The whole album! Forming in the Glasgow rock scene of the late 1980s and influenced by bands like Dinosaur Jr. and Sonic Youth, Teenage Fanclub was unique in that it featured three songwriters and singers, guitarist Raymond McGinley, bassist Gerard Love, and guitarist Norman Blake. Since their first album A Catholic Education was released in 1990, they’ve released ten more records and are still actively touring. I caught up with Raymond McGinley the day before they flew out for their Hong Kong show. Interestingly enough, it’s the international flights that inspired Gerard Love to leave the band at the end of 2018 after almost thirty years of performing together, because he wasn’t interested in flying around the world again for the upcoming shows. Thirty years is a long time for any band to not only hold it together, but to not be jaded right out of the music business, so I ask Raymond how they did it. The Scottish accent is wonderfully thick and sometimes it takes a few seconds for my untrained ears to parse everything out, but Raymond is an enthusiastic speaker, thoughtful and straightforward. I wonder if the crowd is only interested in the tracks they might have heard on 120 Minutes (ironically also the name of a song he wrote on their Thirteen album) on MTV in the 90s. And he reiterates his initial idea from my first question, how do they keep going while the music industry is constantly changing? They just do one thing at a time. 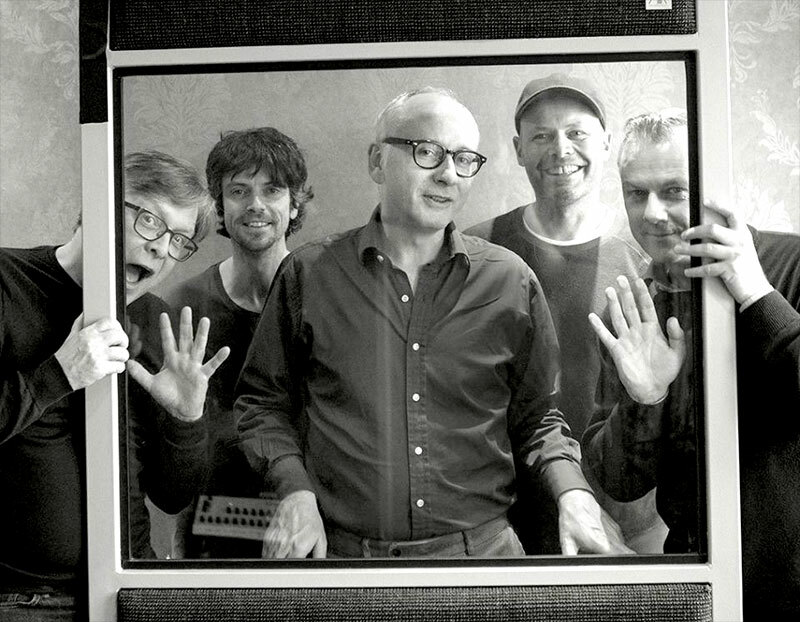 And you can be right in front of Teenage Fanclub to enjoy at The Majestic on March 5th.